After I pluged a correct 9 VDC wall-wart power supply, the LEDs were blinking in rather chaotic way. The LCD showed garbage. In few seconds all lights went out. After off/on cycle only two green “signal in” LEDs flashed. 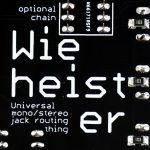 No key or potentiometer response, no sound. Girlfriend curled up in the corner. Cats have hidden. 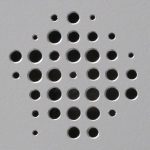 I searched some forums and found out it is a well known Microkorg feature – lack of overvoltage protection. 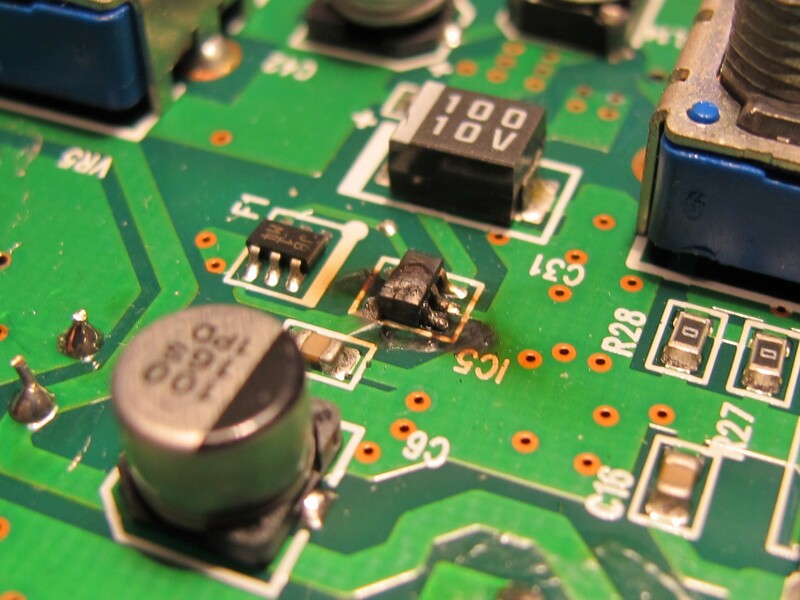 The usual suspects were: fuse and switching power regulator controller IC. I opened the enlosure and got out the PCB. This is what I saw – the picture of despair and destruction. The second suspect, looking much less spectacular, was the FU1 fuse. After some measurements it became clear, it is also damaged (continuity test failed). But in this case, it was a good thing – the fuse fulfilled its task. The thought sprouted in my mind: maybe a DSP survived. It was time to look for replacement parts. I was happy (in a strange way), because repair seemed to be simple. fuse (FU1) – CCP2E20TE, SMD in 1210 package, 72V, 2A (Aliexpress, ~4$ for 10 pieces). 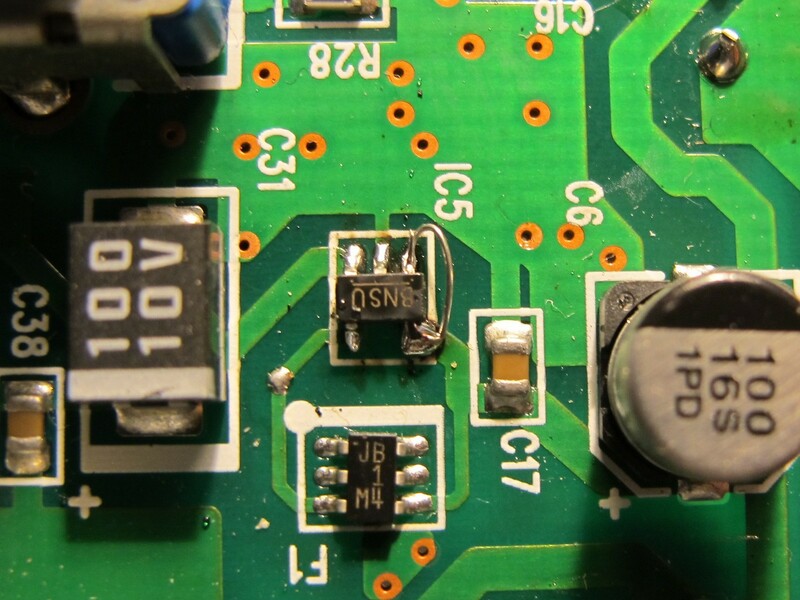 (*) some people adviced to replace F1 -P-channel MOSFET (CPH6302). There was a big chance, it was also damaged, although in my case it was not a problem. The first thing – cleaning. IC5 looked like it was literally boiling inside. 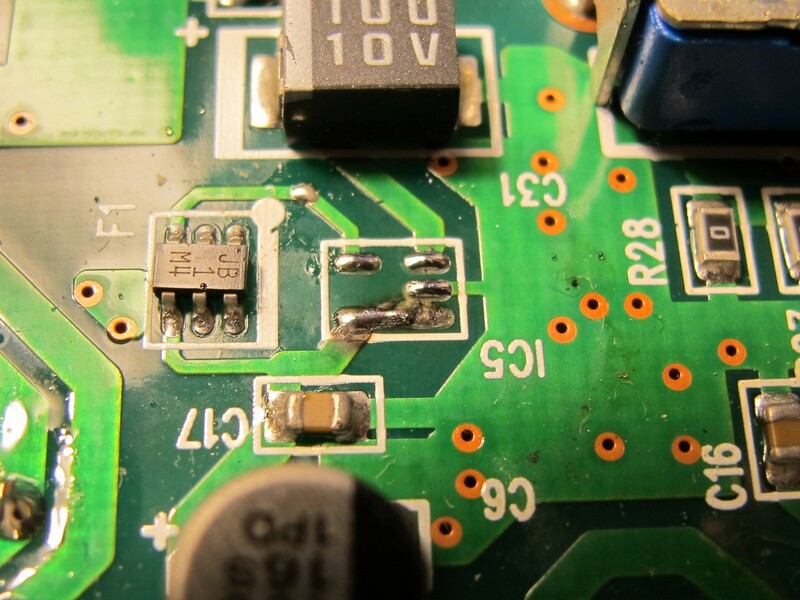 It was hard to tell the condition of the PCB traces with so much soot and dirt. Fun fact: my girlfriend was so angry I always steal her swabs she bought a whole pack espacially for me! Next, the desoldering! 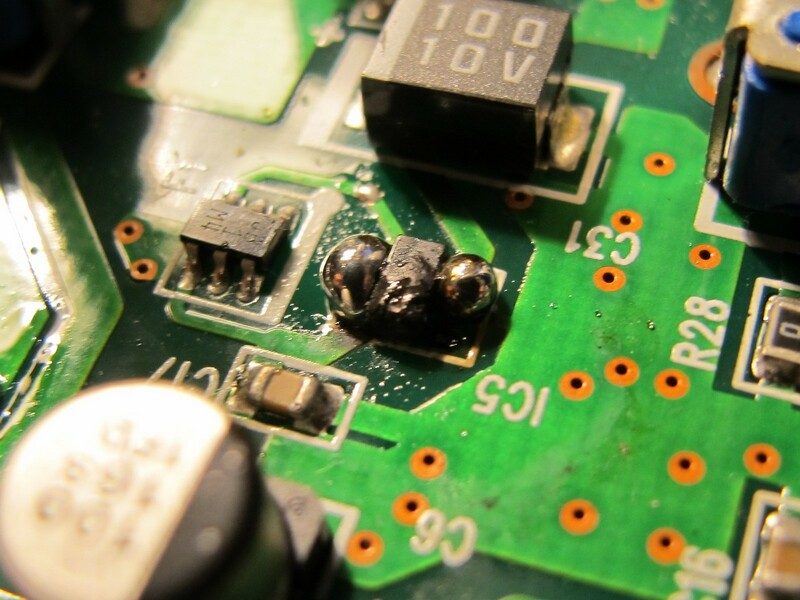 IC was in poor condition anyway, so the most easy way to get the rid of it was to “increase thermal mass of the joints” by creating big balls of solder (see photo below), then heating both sides of the IC alternately. After few fast left-right heating cycles the IC came off freely. This looked really, really bad. One soldering pad was missing (it came out with the IC). But there was hope: if you look carefully, bottom left and bottom right pad seemed like they were once connected. It was time to read the manual of the burned IC. Pin No. 1 was missing – not bad, it was just shutdown pin (probably low current). But still it was missing. The Korg Microkorg service manual schematic stated clearly: for IC5, pin 1 was connected with pin 5 (normal operation mode). This was a good information, as pins could be connected externally with thin wire. 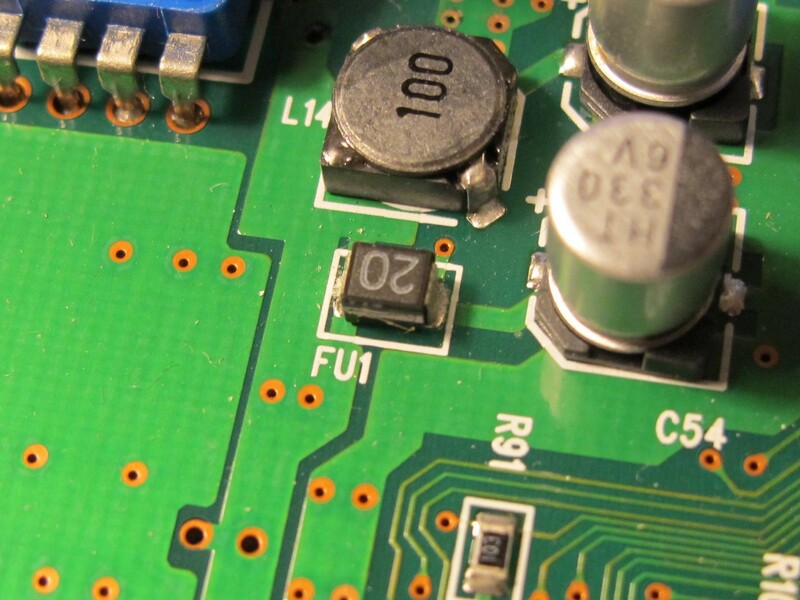 On the left side of the schematic, you can see FU1 fuse which should also be replaced. 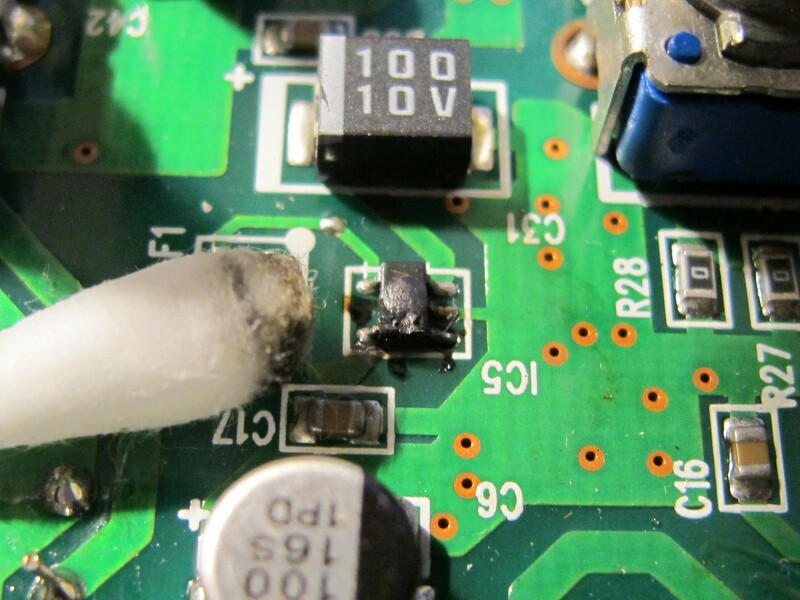 There was also a chance, 6,3 V rated capacitors failed, but I didn’t worried about it now. Besides they looked good – not swollen or cracked on top. A lot of things could happen when power supply specs were mismatched so much. Next, I’ve cleaned pads from remaining solder using miniwave soldering tip. It is very handy not also for SMD soldering, but also for removal of excessive solder amount. For my Xytronic soldering station it was guite cheap, around 6-7$ few years back. 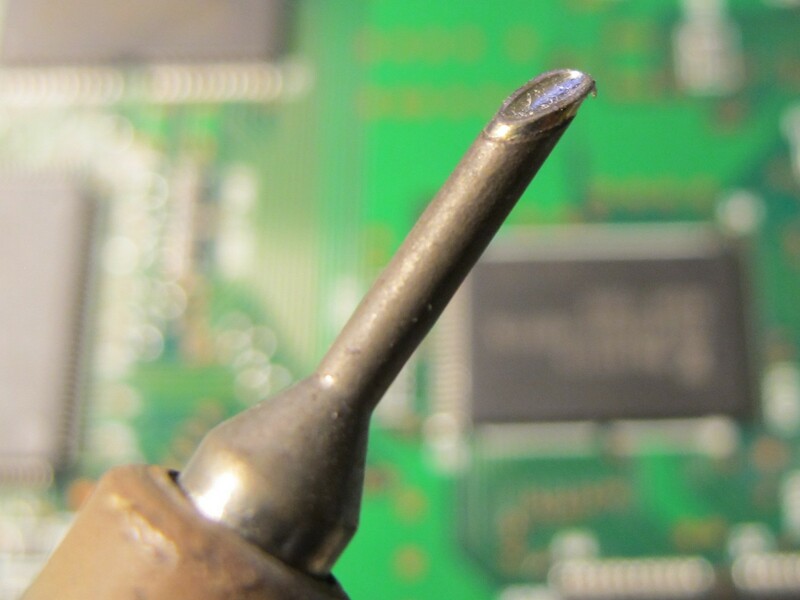 After so much preparation, soldering new IC was just a pleasure – pads were clean and I had to solder only 4 pins 🙂 As pin 1 was not connected to the PCB, I made an ugly external bypass to pin 5. The FU1 removal and soldering was easy and not very spectacular, so I will just leave it to your imagination. I fired up the unit. Display stayed off and only 2 green signal LEDs flashed, as before. The voltage on FU1 fuse was exatly 3,3 V, as it should have been. So, the operation was succesfull, but the patient was totally dead before I’ve even started. 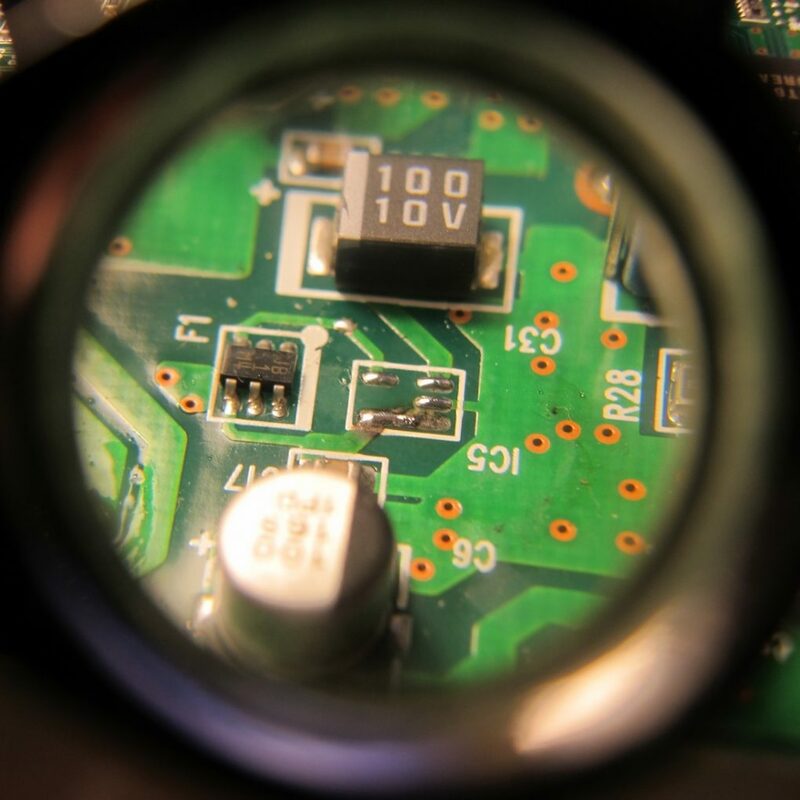 Probably DSP not survived the power supply overvoltage, which in case IC5 stopped to control U1 properly went to over 20 V p-p.
And that’s the sad end of my Microkorgs story. Hope it is now somewhere in Korgs heaven and plays “On the run” sequence. Always look on the bright side of life. Now you have bunch of fine parts, to build something you do not buy at the store. In any case, you are building excellent things. Trzymaj się dobrze ze swoją dziewczyną! !